An anonymous donor has offered $25 million to the University of St. Thomas as a matching grant, the largest such gift in the university’s history. If fully capitalized, the grant and the contributions that it matches will add $50 million to St. Thomas’ Opening Doors capital campaign and bring its total to at least $440 million — or 88 percent of the campaign’s $500 million goal, according to a press release from the university. 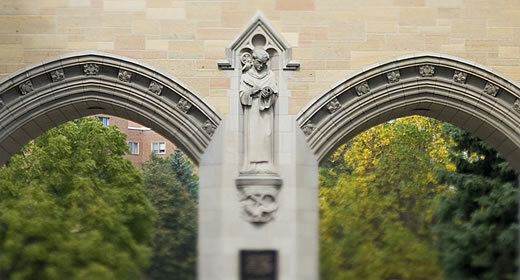 The university’s School of Law will be eligible for $12.5 million of the matching gift, $5 million will be set aside to match scholarship gifts for undergraduate and graduate students, and the remaining $7.5 million will match gifts to any other campaign priority, department or program at St. Thomas. All gifts and pledges must be made by March 1, 2011, and will be matched on a first-come, first-served basis until the $25 million is fully committed. Of the $25 million total, $1 million has been designated to match gifts of $1,000 to $24,999 and pledges of at least $1,000 a year for up to five years. The other $24 million in matching funds will require gifts and pledges of $25,000 or more. Within these guidelines, there is no upper limit on the size of a single gift that will be matched. To date, the Opening Doors campaign has raised $400,350,311 in gifts and pledges. More information about the campaign and matching gift is available at http://www.stthomas.edu/openingdoors.